I’ve got party food on the brain so I’ve decided to make these Baked Herb Goat Cheese Lemon Pots. Maybe it’s because it’s wedding and baby shower season. Whatever the case, you can’t have too many options when it comes to feeding a group of hungry ladies any time of the year. 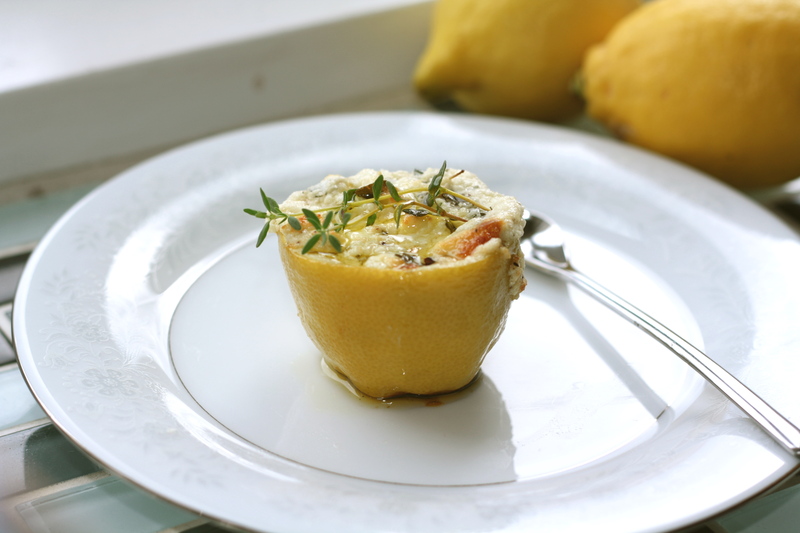 These herb goat cheese lemon pots can be made as shown here, or you can simply bake in a small gratin dish with a squeeze of lemon juice if you are strapped for time. All the ingredients can be made ahead and assembled a day before. Serves 4. Heat the oven to 350F / 180C. In a small bowl, mix both cheeses, thyme, lemon zest and olive oil with the back of a fork until well blended. Wash lemons well. Split in half so you are left with four halves. Juice the lemons, removing the fruit and juice. With a spoon, carefully remove the lemon pith while keeping a little left over at the bottom. Carefully cut the bottom ends off the lemon, being careful not to cut into the actual lemon. You want to be left with little pots which will stand up on their own and hold the cheese. Don’t worry if you accidentally cut into the bottom of the pot – the hole can be plugged up with any left over lemon peel or lemon skin. 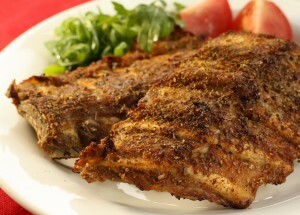 Fill the lemon pots with the cheese mixture and drizzle with a bit more olive oil and finish with black pepper. Bake until the cheese is warm and creamy, about 15 minutes. Carefully remove from the oven and garnish with a sprig of fresh thyme. Allow to cool for a few minutes and then serve on individual plates along side strips of toasted gluten free bread or your favourite gluten free cracker.